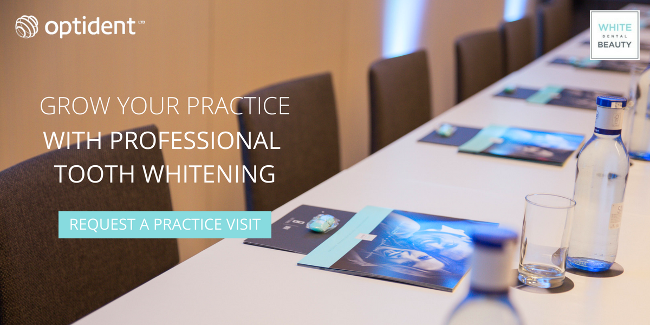 As patients become more educated about the tooth whitening options available, bleaching is increasingly being used in a variety of treatments. One such case, is closing diastemas using composite resins. Bleaching prior to diastema closure, can ensure a natural, aesthetic result. Ideally, at the time of new restoration placement, the natural teeth will have been whitened to the patient’s desired shade. This clinical case explores how White Dental Beauty can be used as part of a bleaching protocol, before starting restorative work. Carlos Fernández Villares demonstrates some tips and tricks when using anterior matrix, illustrating how composite resins provide natural results. Carlos Fernández Villares currently runs a private practice focused on aesthetic and restorative dentistry in Madrid, Spain. Carlos has authored several articles in the area of aesthetic and restorative dentistry and has lectured Internationally on the topic of aesthetic and restorative dentistry and run hands-on courses both in Spain and abroad. Closing diastemas using a direct technique might seem quite unpredictable; composite resins enable a very conservative treatment that provides very natural results, without removing natural, sound tissue. Composite resins also allow us to mimic natural teeth even when they have been previously bleached. This clinical case shows some tips and tricks when using anterior matrix and illustrates how to achieve excellent results with this type of treatment. The patient, a 50-year old woman, was looking for an aesthetic and conservative result. At the first appointment we shot videos, took extra oral and intraoral photos and take impressions for the study cast. The photographs enable us to obtain a lot of information that is not normally seen during a quick examination of the patient. I recommend taking photographs from different angles to obtain as much information as possible. This information is a great tool to enable better communication with the patient. We then start with a bleaching protocol using White Dental Beauty tooth whitening gels. Once the result is appropriate for the patient we continue to the restorative phase. Wait at least two to three weeks after whitening, before starting the adhesive procedure. Isolation is the best way to manage these cases (Figure 13) and having the field isolated allows for better vision and removes the negative effects of saliva (Figure 14). Eliminate the aprismatic enamel with a polishing disc (Figure 15) and clean the surface with glycine powder (Figure 16) until everything is clean (Figure 17). Now proceed to the etching phase (Figure 18), covering the enamel (Figure 19) and then wash thoroughly (Figure 20), ensuring everything is clean and then dry (Figure 21). In this case a universal adhesive was used (Figure 22). Polymerise the adhesive for ten seconds from different directions (Figure 23), then start the palatel enamel (Figure 24) with the help of an instrument (Figure 25). After removing the index (Figure 26), a posterior matrix is used to imitate the emergence profile (Figure 27). Liquid dam is a great tool to maintain the matrix in place (Figure 29). After removing the matrix, the proximal wall is made (Figure 30). Composite resin, used with a direct technique, is the most conservative option to solve aesthetic challenges. Additionally, a whole set of tools are now available that make it even easier. 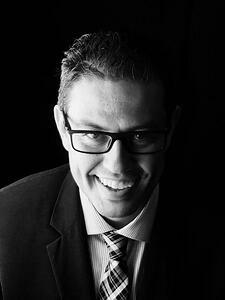 This article shows how these cases can become predictable and easily manageable. White Dental Beauty Gels are specifically formulated, packaged and delivered with your patients in mind, ensuring you have everything you need to offer them a successful whitening treatment. White Dental Beauty's whitening products are available worldwide from your local distributor including Optident for the UK. To order in the UK visit the White Dental Beauty manufacturer page or call +44 (0) 1943 60 50 50.